Given its expansive size, it’s no surprise that Dallas is home to an impressive number of venues for live entertainment, covering everything from comedy to sports and just about every genre of music known to man. What’s your pleasure? Seeing those big-name stars when they come on tour or discovering up-and-coming local talent? Taking in a game with your buddies? Yukking it up at a comedy show? Whatever your, you’ll find it here and you’ll have your pick of places too. Of course, not all venues are created equal and some, well…some may be better left unmentioned. To help you avoid wasting your time and hard-earned money, Dallas New in Town has narrowed down the list to what we feel are the best fifteen places to catch some live entertainment in the DFW area. Looking for a place to enjoy a few laughs over some drinks with friends? Hyena’s is a nice option. 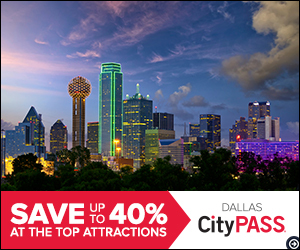 There are actually three locations – Dallas, Plano and Forth Worth, so take your pick. The atmosphere is cozy, the prices are reasonable (although, keep in mind – they do impose a minimum on guest purchases), and the talent is decent. If you’re looking to save a few bucks, they run specials on certain nights of the week (usually Thursdays) and sometimes you can snag a Groupon for extra savings. All in all, it’s a fun night out. If you enjoy live performances that are conducive to audience participation, you’ll definitely dig Dallas Comedy House. It’s pretty small, but what it lacks in size it more than makes up for in personality. There are various shows throughout the week, including free open mic and improv nights if you’re so inclined. There’s a full bar and the drinks are inexpensive, especially for the location (right on Main St. – but don’t worry, metered parking is available) and food is also an option. Nice, affordable and laid back place for a date night or to meet up with friends. For a unique, fun and super interactive theatre experience, check out the Pocket Sandwich. Live, full-costume performances, musical groups, comedy – you name it – in a super casual and friendly setting make this venue a favorite among locals. But be fair-warned, this locale is known for its unusual practice of allowing – no, encouraging audience members to throw popcorn at actors and other patrons during performances. There’s deli-style menu and beverage service as well. Check out their late night shows (and snag a coupon through their website). Get out of the heat and take in the icy action of a Dallas Stars hockey game, or watch the Mavs battle for first place in the NBA. American Airlines Center is the place to be for both sporting events as well as live concert performances, hosting an impressive list of headline artists and popular bands. Rock out to the Red Hot Chili Peppers and Bruno Mars or go old-school with Bon Jovi or Roger Waters. Ticket prices are about average for these kinds of events and there’s plenty of parking. Better yet – hit the DART or grab an Uber and save yourself the hassle. Few things are more important to Texans than football, so if you’re not all that into it, you may want to get up to speed stat. AT&T Stadium is the proud home of the beloved Dallas Cowboys and is easily considered to be one of the nicest stadiums in the country. Of course, there’s more to life than just football (wait, did we just say that?!?) – you can catch plenty of headliners in concert here, as well as other events like Monster Trucks and, of course, a good ol’ Texas rodeo. Stadium tours are also available if you’re so inclined. Does hearing “Take Me Out to the Ballgame” make you feel all tingly inside? If so, you may want to get that checked out. In the meantime, you might also want to grab some tickets to go watch the Texas Rangers swing a few bats at Globe Life Park in Arlington. The stadium is also home to the team’s Hall of Fame, which is pretty awesome as well. There is currently a project in the works to build a brand new stadium, which is expected to open around 2021, so if you want to experience this one before it’s too late, better grab some tickets now. You can’t live in Dallas and not hit a honky tonk or two, and Gilley’s is a great place to catch live music in Dallas. Originally founded by country singer Mickey Gilley, this aptly named venue was made famous in the 80’s movie Urban Cowboy. Today, it’s home to a variety of live musical acts and can also be rented out for functions and special events. Valet parking is available and the venue itself is surprisingly roomy. There’s also a patio with activities to partake in. Drink selection is decent, though a bit pricy and you may want to grab a bite to eat elsewhere. Oh, and bring your cash because they don’t take credit cards (there is, however, and ATM on-site). All in all, it’s always a good time at Gilley’s to catch in concert in Dallas. If you like one-stop-shopping, you’ll probably dig the House of Blues since there’s a full restaurant and bar in addition to the Dallas live music concert venue. There are quite a few headliners who perform here, and the Dallas music venue itself is pretty cozy, which can make for a more intimate concert experience. Price-wise, it’s to be expected with a big-name place like this – a bit on the higher end side, but not astronomical. For these Dallas concerts, there’s the option of standing room or upgrading to a seat for an extra cost. Parking can be tricky as well, but if you’re willing to take a bit of a walk, you can usually find a spot for about $10 not too far away. If you’re looking for a more unique live music concert experience in Dallas, the Granada Theater has quite a distinct atmosphere. It’s a much smaller Dallas music venue located in an old movie theatre, so the floor pitches a bit. Tickets to events and live music concerts are general admission and primarily standing room (unless you want to sit way in the back). Acoustics are good and there are several bars to grab drinks during the show. Light fare is also available. There is a parking lot on-site and a number of good restaurants and pubs right nearby – perfect for grabbing dinner and drinks before or after the show. The Granada Theater Dallas is a great local music venue with a funky vibe. Check it out! If music moves your soul, this classic Deep Ellum Dallas music club is a must-visit. It’s a bit on the small size, but that’s great if you prefer not to take in a concert with 10,000 of your closest friends. There aren’t a ton of major headliners performing here (although there have been a few), but the calendar is chock-full of some pretty stellar bands and entertainers, so it’s definitely worth checking out. Best of all, ticket prices are reasonable, as are the drinks, and parking is available on-site for a nominal fee. If you’re looking for an inexpensive night out, add Trees Dallas to your list. Another great place to catch some live music in Dallas TX is the historical Kessler Theater. It’s big enough to ensure that everyone can enjoy the show comfortably but small enough that there really aren’t any “bad seats” in the house. Acoustics are spot on and the selection of acts (from local up-and-comers to nationally known stars) is pretty impressive. A small but creative menu and affordable drink options are also available. If you’re not in the mood for music, there are other performances to choose from, including burlesque and drag shows. Nearby parking is pretty easy to find. It’s definitely a great night out! Ok, so this venue has changed names almost as many times as Elizabeth Taylor got married, so if you hear the locals talking about the Starplex, Smirnoff or Superpages Center, they’re referring to the Gexa Energy Pavilion. In any case, there are a number of impressive headliners who have or plan to perform here, including Elton John and Black Sabbath. Seating is open-air with the option of covered seats or general admission lawn tickets (perfect for the budget-conscious). Drinks are plentiful but definitely on the pricy side ($15+ for a bottle of craft beer – yikes). Free parking is available on-site or, to avoid getting stuck in traffic, you can opt to park in one of the neighborhood lots for around a ten spot. This Deep Ellum venue has long been a favorite among local music enthusiasts, particularly for its roomy interior (50k square feet) and multi-level layout. While there are a few seating options available, attendance is mostly general admission, standing room, so get there early if you want a good spot. Sound system is great, which is obviously a huge plus. Prices for tickets and drinks aren’t too bad, but finding an open parking spot can be tricky. It might be best to grab an Uber or Lyft to make things easier. Either way, the Bomb Factory is a pretty cool place to check out to concerts in Dallas. For those with a more refined, classical taste in music, the Winspear Opera Center won’t disappoint. From solo performances to entire Dallas musical productions, there’s plenty to choose from on the calendar of events. The venue itself is absolutely beautiful and more of a traditional theatre layout. It’s also situated at a great central location with easy in-out parking, plenty of seating and concessions available (though prices are a bit on the high side). A word to the wise, though…be wary of the venue’s so-called “partial view” seating options unless you’re ok with buying a ticket and only being able to listen to the show. We would be remiss if we didn’t mention this other Deep Ellum gem. The Door is billed as an all-ages venue, but it’s probably better to leave the kids at home for this one. The place is small and intimate, which is great for getting up close and personal with the performers. There’s a well-stocked bar that features some great local beers, including a selection from the nearby Deep Ellum Brewery. Event tickets are very reasonably priced, which makes for an enjoyable night out without breaking the bank. As you can see, there is certainly no shortage of live entertainment options in the Dallas area. Which performance or event will you attend first? Have fun, be safe and be sure to let us know what you thought about your own experience and any of these local venues!